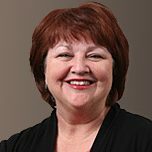 Robin earned a degree in Marriage and Family Counseling from Southwestern Baptist Theological Seminary and holds a B.S. from Dallas Baptist University in secondary education. She is a Licensed Professional Counselor in the State of Texas. Robin has a long history of working with others to promote positive growth both individually and in marriages. She has a strong desire to walk alongside couples as they work to strengthen and improve their marriages. Robin’s heart for marriage extends to engaged couples as well and she is certified to administer the Prepare Premarital Inventory to couples considering marriage or re-marriage. Women’s issues are also important to Robin and she has worked extensively with women and women’s groups. She has been married for over forty years with two grown children. As a wife, mother, mother-in-law and grandmother, Robin understands the varied situations facing women and marriages today. Couples or individuals who are struggling with relationship difficulties, life transitions, grief, loss, anxiety or depression will benefit greatly from Robin’s wisdom, knowledge and compassion.